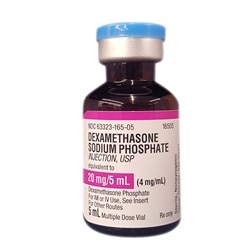 Injectabe Corticosteroid Dexamethasone Sodium Phosphate 20mg (4mg/ml) in a 5ml multi dose vial. 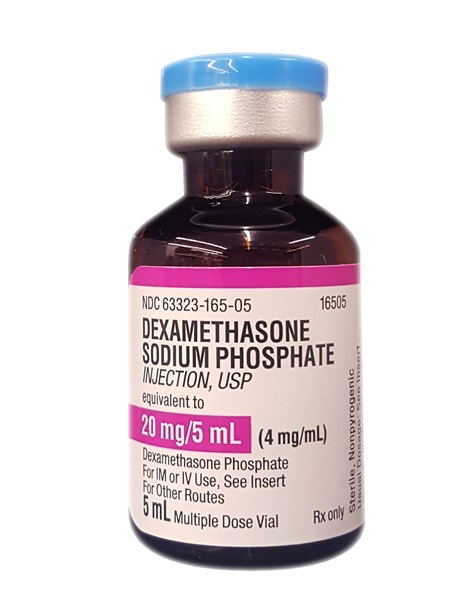 Manufactured by Fresenius. NDC Number: 63323-0165-05. Comes as singles.